Generally, when somebody posts a query using the NOLOCK hint, there are a variety of warnings about dirty reads, phantom reads and double-reading (due to page splits). The dirty read example is common and tends to be the main example used to demonstrate what to watch out for with NOLOCK, but I’ve never seen an example of double-reading. So, I thought I’d try and see how much of an issue such a thing can be. It certainly sounds plausible, but is it a ‘one in a million’ chance, or is it a Terry Pratchett ‘one in a million’ chance – where it is pretty much guaranteed to happen? A very simple table – an Identity column and a text column. The important part is that I’ve specified a Fill Factor of 100 for the Clustered Index, meaning there is no space for expansion of the data in the current location. Therefore, if I increase the contents of the ‘Test_Description’ column it should force a page-spilt, because the data won’t fit back where it was originally stored. I then generate 500,000 rows with a simple integer id and the entry ‘TEST’ in the ‘Test_Description’ column. 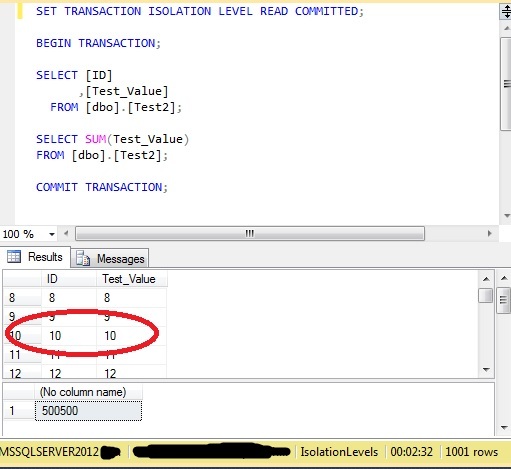 In one window of SSMS I now set up a query to update this column on every row. For text-based test data I tend to use a text file of ‘War and Peace’, from Project Gutenberg. For this test I just use the first paragraph. 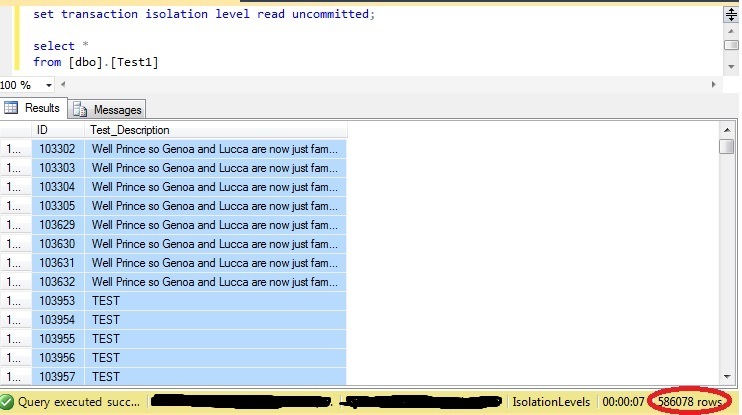 In another window I set up a query to return every row from the same table, specifying ‘READ UNCOMMITTED’ isolation level. The update has returned a count of 500,000, which matches the number or rows I placed into that table. However, the select has returned a count of 586,078. Considerably higher than the number of rows within that table. In addition, it can be seen within the results that I’m retrieving a mixture of updated and non-updated rows. The Select found the rows before they were updated, and then again when the page split had moved the data, retrieving the row twice. If I leave the select query to run once the update has completed, I get 500,000 rows – all updated. 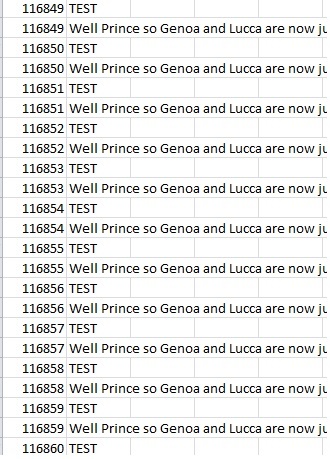 This was a relatively easy test to set up, and has been consistent in the fact that it has duplicated a large number of rows every time. Of course, specifying a fill factor of 100 would pretty much guarantee a page split somewhere, but in the day-to-day operations of most databases, pages will become full and splits will happen eventually. So the scale of the issue might not be as large as the example I’ve created, but the underlying issue may still be present. Obviously, if this was something more important that a short piece of text (financial data, for example) then the results derived from this query would be wildly inaccurate. 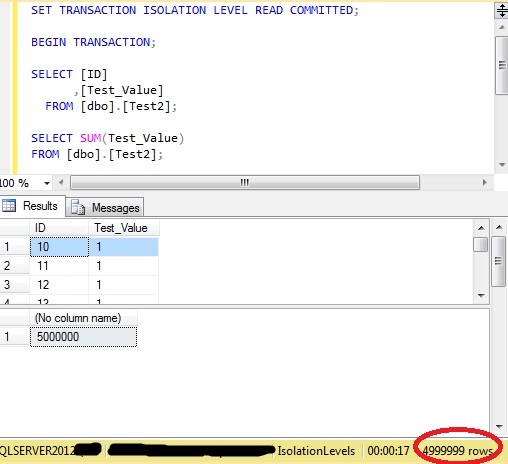 SSIS can produce an inordinate number of error messages and numbers. Some of these can even be helpful and informative. Generally accompanied by an Error Code, one of the most popular appears to be “0x80070057” and can have a number of causes. 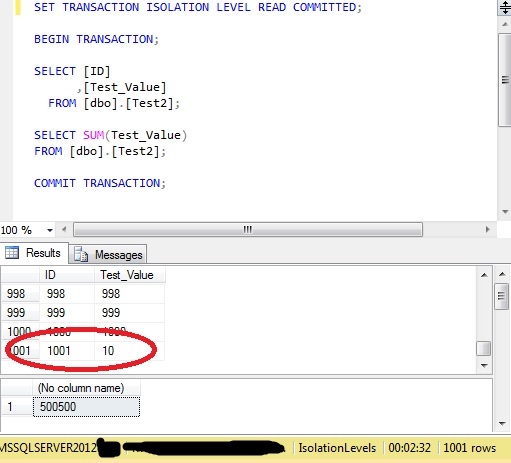 Error: 0xC0202009 at ‘Task Name’ , Slowly Changing Dimension : SSIS Error Code DTS_E_OLEDBERROR. An OLE DB error has occurred. Error code: 0x80070057. An OLE DB record is available. 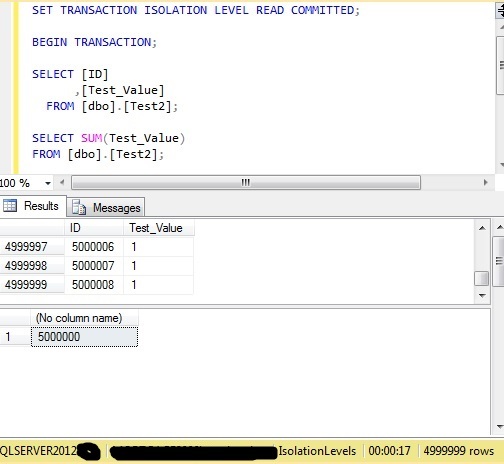 Source: “Microsoft SQL Server Native Client 10.0” Hresult: 0x80070057 Description: “The parameter is incorrect.”. 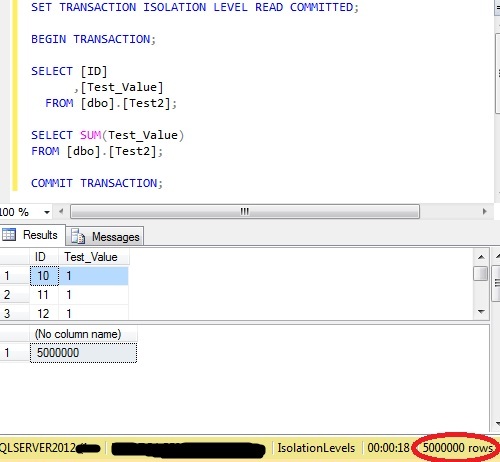 Error: 0xC0047022 at ‘Task Name’ , SSIS.Pipeline: SSIS Error Code DTS_E_PROCESSINPUTFAILED. The ProcessInput method on component “Slowly Changing Dimension” (14907) failed with error code 0xC0202009 while processing input “Slowly Changing Dimension Input” (14918). The identified component returned an error from the ProcessInput method. 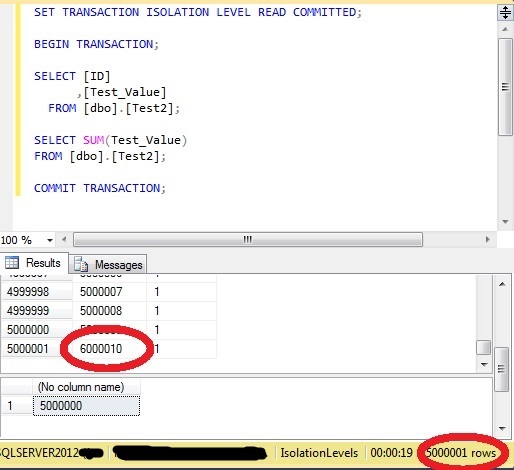 The error is specific to the component, but the error is fatal and will cause the Data Flow task to stop running. There may be error messages posted before this with more information about the failure. 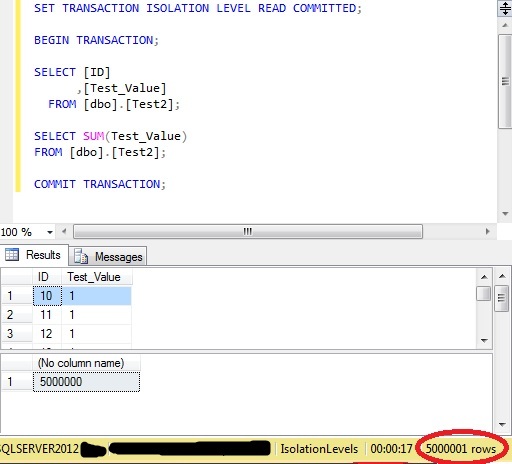 Error: 0xC02020C4 at ‘Task Name’ , ‘View Name’ : The attempt to add a row to the Data Flow task buffer failed with error code 0xC0047020. Error: 0xC0047038 at , SSIS.Pipeline: SSIS Error Code DTS_E_PRIMEOUTPUTFAILED. The PrimeOutput method on component “’View Name’” (1) returned error code 0xC02020C4. The component returned a failure code when the pipeline engine called PrimeOutput(). The meaning of the failure code is defined by the component, but the error is fatal and the pipeline stopped executing. There may be error messages posted before this with more information about the failure. 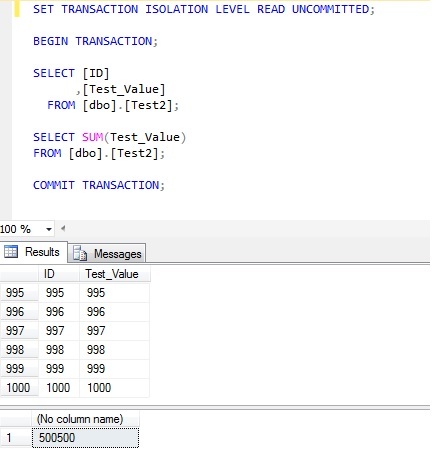 The behaviour was thus – run it for the first time and the process extracted data from a View and inserted all of the rows as new rows into the output. Run it a second time, when it would check for changes (because the output table now had data) and it would instantly fail with the above error message. The first thing I noticed was the “The parameter is incorrect”, which is strange because the Wizard created everything based on the details I fed into it – so it shouldn’t be anything I’ve done. So, as I had created 5 other Slowly Changing Dimensions for other Views and Tables I decided to recreate this one from the start with a very ‘narrow’ table. The table concerned with this particular process was rather wide, certainly when compared to the others that had worked successfully. A couple of fairly tedious hours later I had a failure when I added the last few columns back in (as ever, it’s always something at the end). These columns were varchar(8000) and there were six of them. This is where the line in the error message “The attempt to add a row to the Data Flow task buffer failed with error code 0xC0047020” started to look more interesting. Checking these columns showed that the 8000 size was a tad generous, based upon the data likely to be stored within them. Reducing these to 300 each removed the error and everything worked as expected. I have no idea what size buffer SSIS can create for this processing but the message implied that it wasn’t large enough for this particular table. Reducing the width of the table corrected this. It may not be the solution for every instance of that message but in this case it worked and can be added to the list of possible solutions to one less-than-helpful SSIS Error Code.